Atmospheric rivers are sinews of moisture from the tropics. The one pictured here appeared over the Northern Pacific on Jan. 3. "This has been a very active winter, atmospheric river-wise," reports Jeff Zimmerman of the National Weather Service. "We've probably had 10 or more ... this winter." The norm is just a few; being a La Nina year, with cooler water in the eastern Pacific, was part of the reason for the abundance. Atmospheric rivers are famously wet. But atmospheric scientist Duane Waliser has done some new research that shows they're also remarkably windy. Waliser studied two decades of storms around the globe at mid-latitudes — that is, outside the tropics. When he focused on the very windiest — the top 2 percent — he found that "atmospheric rivers are typically associated with 30 and even up to 50 percent of those very extreme cases." Atmospheric rivers were also responsible for almost that percentage of the very wettest storms, too. But the windiness was surprising. Waliser found that winds during an atmospheric river are typically twice the speed of the average storm. He says emergency responders need to know that. 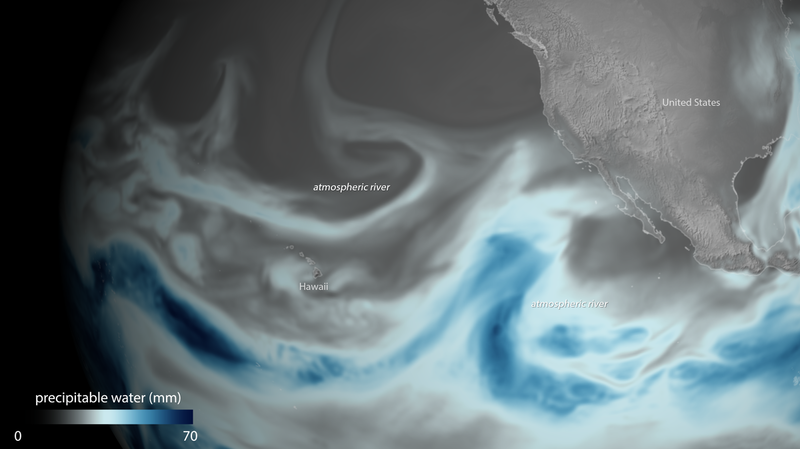 "Not only do [atmospheric rivers] come with this potential for flooding hazards," he says, "they also come with potential for high impact winds and extremes that can produce hazardous conditions." In fact, the atmospheric river that hit California on Jan. 8 knocked over a famous — and gigantic — sequoia in a state park. 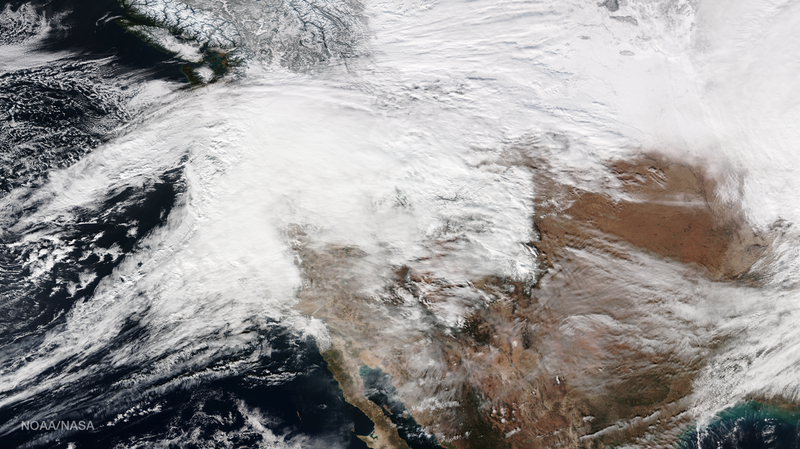 A storm on Jan. 10 dumped several inches of snow over the Pacific Northwest. Atmospheric rivers like these funnel moisture from the tropics. Waliser, who's with NASA's Jet Propulsion Lab in California, says the combination of water and high wind is especially costly. Over the past two decades, for example, Europe experienced 19 storms that each did at least a billion dollars in damage. "And so out of these 19 storms," he says, "we associated atmospheric rivers with 14 out of the 19." Waliser's research appears in the journal Nature Geoscience. He says his next project is to find out if climate change will make atmospheric rivers more frequent.